WinWeb design and create the revolutionary Business Cloud, a combination of business cloud computing apps, online and website business apps and business cloud virtual assistant services, for businesses of all sizes around the world. WinWeb not only supports and sponsors The Last Ocean project, but will share 10% of its revenue with us if you subscribe to any WinWeb service mentioning 'The Last Ocean'. Established in 2001, Antarctic Ecologist Dr David Ainley heads this group of leading scientists concerned about the effects fishing on the Ross Sea ecosystem. 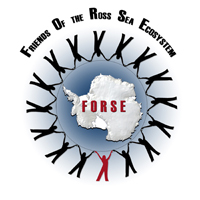 Over the years FORSE has provided sound scientific advice to political bodies like SCAR (Scientific Committee for Antarctic Research), CCAMLR (Convention for Conservation of Antarctic Marine Living Resources), IWC (International Whaling Commission) and CEP (Committee for Environmental Protection). FORSE provides the scientific foundation for the Last Ocean community. The Antarctic and Southern Ocean Coalition (ASOC) is a global coalition of over 30 non-governmental organisations (NGOs) interested in Antarctic environmental protection. ASOC has a seat at the CCAMLR table and has worked since 1978 to ensure that the Antarctic Continent, its surrounding islands and oceans survive as the world's last unspoiled wilderness, a global commons for the heritage of future generations. Logan Brown, the highly acclaimed Wellington restaurant has selected Last Ocean to be their charity of choice. Cuisine Magazine NZ Restaurant of the Year Supreme Winner 2009. As part of their support for the preservation of the Ross Sea ecosystem, Logan Brown donate $2 from every responsibly-caught fish ordered, to the Last Ocean Charitable Trust. Fisheye Films is an independent film and television company based in Christchurch, New Zealand. Headed by award winning cameraman/producer Peter Young, Fisheye Film produces quality television documentaries and commercials. Voila is a full service creative and marketing team, we help our clients achieve their objectives by creating effective communications. We do this through smart thinking, exemplary design and client relationships based on high levels of trust and respect. We have proven success through our many years of experience, and a team of talented and passionate people who work together to produce consistently great results. Heritage Expeditions, New Zealand's own award winning Antarctic expedition company, travels south to the Ross Sea each southern summer. The company shares its philosophy of creating advocates for the environments visited on its voyages through the Subantarctic and Antarctic regions. Small groups, qualified leadership, maximum time ashore and sensitively managed wildlife interactions. The Ocean Foundation is a unique community foundation with a mission to support, strengthen, and promote those organizations dedicated to reversing the trend of destruction of ocean environments around the world. They work with a community of donors who care about the coasts and oceans, growing financial resources to support marine conservation in order to promote healthy ocean ecosystems and benefit the human communities that depend on them. SeaWeb is the only international, nonprofit organization exclusively dedicated to strategically communicating about ocean issues. They transform knowledge into action by shining a spotlight on workable, science-based solutions to the most serious threats facing the ocean, such as climate change, pollution and depletion of marine life. By informing and empowering diverse ocean voices and conservation champions, SeaWeb is creating a culture of ocean conservation. Red Paris are a dynamic Christchurch-based website development team who truly understand the principle of building functional websites that really WORK. The result is an online solution that lets customers create and control their own website with ease and total confidence. We chose Red Paris to build the Last Ocean website for exactly those reasons. And because Red Paris care as much about the environment as they do about your website, they'll donate a THIRD of the cost of building your site to the Last Ocean Charitable Trust. Simply fill in their referral form and start enjoying the benefits of a Red Paris website solution, today.